R.S. Grey's best job at the time! Rachel stories are well known for being hilarious romcoms that guarantee you a big laugh and swooning over the characters. She's got some very hot book boyfriends and girlfriends. Her sport romances are probably the best that I've read of the genre. But this, A place in the sun, is what I believe to be her best work to date. Away from the sports that are her usual brand, A place in the sun comes to make you fall in love with love and with her wit at writing. 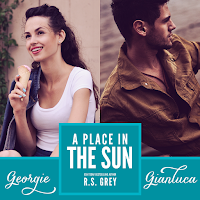 Georgie Archibald, tired of her mother's pressure to find her the right match, but also wanting to find 'the one', at the best Georgie style scapes England and travels to Italy to find, of course, love. And as she steps foot in Vernazza she also sets eyes on Gianluca, a distant challenge boy that gets under her skin. "Georgie, have you gone insane?" I smiled. "No, brother. All is well." "Then why on Earth are you in Italy?" "To find love, of course." I have to say that Georgie is my absolute favourite character of all times from a Grey's novel. She's strong, independent, sassy, smart, funny and outgoing. She's driven, determined and a bit crazy. What's not to love? "To be in love with someone is to live inside them." Either how, Georgie stole the show here! Bravo, girl! Laughs are guaranteed very soon to the start and they'll continue through the story! Rachel knows how to entertain her readers! Her writing is smart, hooking and it flows. The pace of the book is mostly fast, once you have it between your hands you don't want to let go till the end. The secondary characters are a very needed and well placed element, I have to say that I'm specially in love with Katerina, Georgie's best friend. And I like that because we are given strong female characters in this story and that's not something that I find so often in contemporary literature. 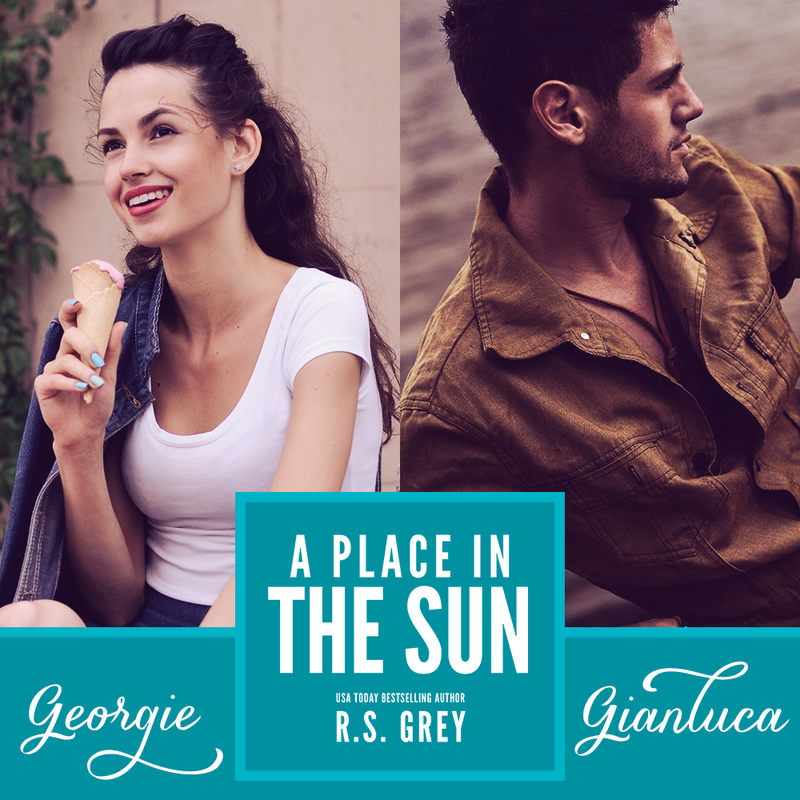 Through the landscapes of Italy we'll learn more and more about Georgie, Luca and their friends, we'll fall in love with them and accompany them through their journey. "Don't you remember what I told you? You're my northern wind, my tramontana." And speaking of landscapes, I NEED A TRIP TO ITALY RIGHT NOW, WOMAN! I seriously believe Vernazza should have Grey as their PA, because I certainly couldn't have fallen more in love with the place through her eyes. I felt like I was there. I saw the beaches, I felt the sun on my skin and heard the italians speaking in one of the most seductive romance languages right next to my ear. It was delicious to experience something so unique thanks to the beautiful and accurate description. Italy, wait for me! 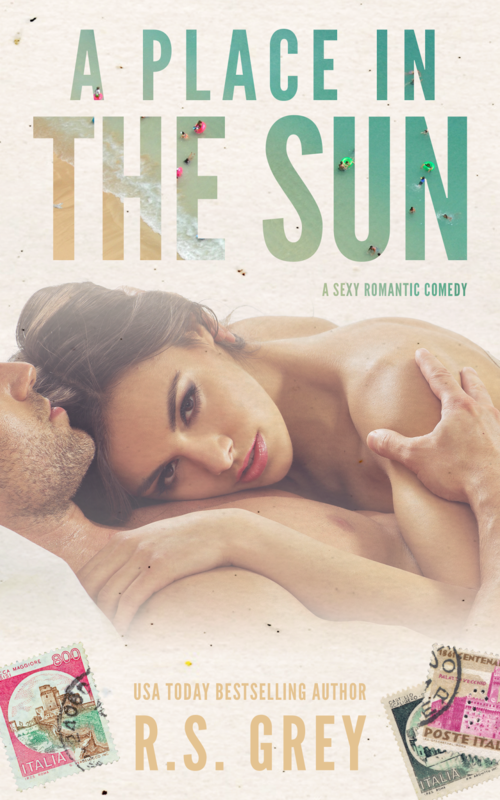 "Italians all seem to believe that a few drinks and a good meal would cure any ill."
Summing up, A place in the sun is a very sweet read that won't want to miss! Join me and let's fall in love with Italy together! Can't wait to read Rachel's next work!